In February this year, the New Payments Platform (NPP) was officially launched in Australia to support the need for real-time payments of its digital economy. It was a result of collaboration between 13 members of Australia’s financial services industry, including Australia’s four major banks and the Reserve Bank of Australia. The system allows consumers, corporates to use their phone number, email address or an Australian Business Number (ABN) as proxy to their account number to facilitate transfer of fund with a simple addressing service capability called PayID. 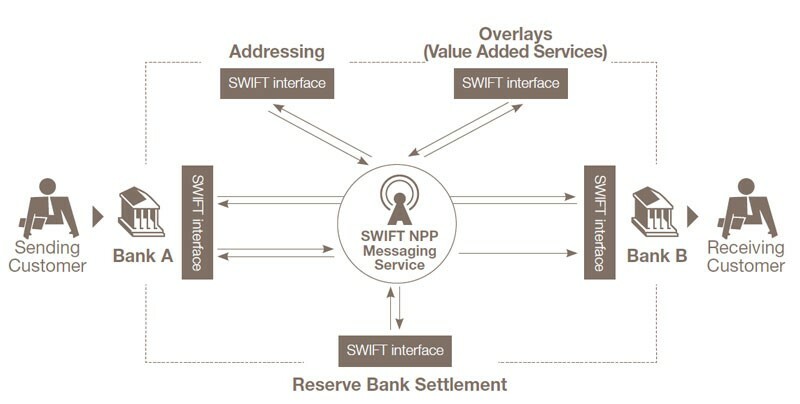 SWIFT (Society for Worldwide Interbank Financial Telecommunication) has designed through an intensive industry program the basic infrastructure, developed, built, and now operates the infrastructure behind the NPP. OpenGov had the opportunity to speak to Philippe Dirckx, Managing Director, SWIFT, Asia Pacific, to learn about the architecture of NPP, the emergence of domestic real-time payment systems and how those systems might ultimately be linked together to make seamless, cross-border payments a reality. We asked Mr Dirckx about the biggest challenges faced in the development of NPP. He replied that the challenges can be articulated around technology and operations. Firstly, in the global SWIFT services there are very small windows on a regular basis where the system is unavailable, typically for maintenance purposes. That is not acceptable for NPP, a low latency and high availability platform. It has to be available 24/7, 365 days a year. The second part is around the stringent SLA (service level agreement) for processing time. The end-to-end transaction has to be completed in a few seconds. This required SWIFT to rethink the software and the way the messaging is orchestrated between participants. SWIFT’s traditional model is hub and spoke, where everything goes back to a central infrastructure, which then connects to the recipients. But NPP has a bilateral model, where the participating banks bilaterally clear their transactions. Unlike most clearing and settlement process, the clearing happens on line-by-line basis, instead of a bulk or batch basis. Once the clearing is completed, the two institutions automatically send the message for settlement to the Reserve Bank of Australia’s Fast Settlement Service (FSS). The FSS is the settlement component of the NPP which allows transactions to be settled individually on a 24/7 basis, in close to real time. Clearing is the process of transmitting, reconciling and, in some cases, confirming transfer orders prior to settlement, potentially including the netting of orders and the establishment of final positions for settlement. Settlement is the completion of a transaction or of processing with the aim of discharging participants’ obligations through the transfer of funds and/or securities. This means that the interfaces deployed at the participants’ level and also at the level of the FSS were different from those used in traditional payment infrastructures. Then PayID necessitated an addressing service, where the account number had to be linked to an addressing database. The idea behind the PayID is to bring in convenience to the end-user. Mr Dirckx explained, “We know our mobile number or email address way better than our account number. And sometimes we feel more comfortable sharing our mobile number than sharing our account number. The idea was then to use that as a proxy for the account.” But it creates an additional layer of complexity and latency. From an operations point of view, SWIFT had to support and service the infrastructure on a real-time basis, again 24/7. This means that SWIFT has to work with teams located across the globe, on a follow-the-sun basis to ensure the right level of servicing and support. The platform has been live for the public since February 2018. “The idea today is to ramp up with the initial participants and to build up the volume on that,” Mr Dirckx said. There are plans to roll out services that use the platform’s capabilities which will be rolled out soon from about 60 banks, building societies and credit unions across the country, giving consumers and businesses the ability to transfer money instantly between accounts at different financial institutions at any time of day, any day of the year. Additional functionalities will be released to the users through releases going forward. The new functionalities can be introduced through evolution of the basic infrastructure itself or through overlays. The NPP has been designed to provide an infrastructure environment that will foster innovation. Additional services can be built on top of these rails. These could be available for all the participants or for clients of a particular bank or a particular group of banks. Australia’s big Four banks, Wells Fargo, Commonwealth Bank of Australia, National Australia Bank, and Wespac Banking Corp have also adopted Osko®, allowing customers to transact faster via participating financial institution any time and any day. Now, this platform has reached extended over 60 financial organizations with 42 million customer accounts. Most monetary contacts through Osko now only take less than a minute. Further potential use cases include person-to-corporate and corporate-to-person fund transfer, as well as government-to-person, such as welfare assistance payments from government. Many features and additional information could be overlaid on the basic payment infrastructure. For example, an invoice could be attached to supplement the payment. Ownership transfer could happen simultaneously with the payment. The Australian Stock Exchange could use NPP to distribute corporate proceeds to the owners of securities. Today, we see domestic real-time payment systems being built in many different countries. In addition to NPP in Australia, there is PayNow (built on the Fast and Secure Transfers or FAST infrastructure) in Singapore, PromptPay in Thailand and the upcoming Faster Payments System in Hong Kong. We asked Mr Dirckx about the drivers for this. He gave a two-fold explanation. Firstly, today technology allows real-time transfers to happen at all levels, not only the wholesale level, but also the retail level. Here, the need to meet user expectations becomes an important driver for the banks. Users today expect the same experience with their banks, as they would have in their interaction with peers through mobile. If they can get an answer from a friend through a messaging platform in a few seconds, why should they have wait till the next day to get the money in their account. Regulators are also encouraging these developments. In Australia as well as Singapore, the regulators pushed for the development of these real-time payment systems. But this transformation of payment infrastructure has a significant impact on the back-office processes of banks. For them to be able to process these payments on a real-time basis, they have to change their infrastructure and their internal processes. Mr Dirckx said that SWIFT is working very closely with a number of financial institutions to see how some of the multi-network interfaces developed by SWIFT could help shield these institutions from the complexity of connecting to multiple infrastructures across the globe. The next question arises naturally if we will see all these domestic real-time payments being linked up and if we will see real-time cross-border payments. Numerous challenges have to be surmounted if the above vision is to be realised. The different platforms use different infrastructures, market practices and compliance and regulatory requirements vary across jurisdictions. And on top of the complexities for banks to adjust their back-office processes to adjust to real-time transfers – as mentioned above -, now they would have to adapt their infrastructure to connect to multiple real-time platforms. In August 2018, SWIFT announced plans to work with a group of banks from Australia, China, Singapore and Thailand to test its new instant cross-border SWIFT gpi payment service in APAC region, steering an improved version of its gpi service launched in 2017. First focusing on payments into Australia, the trial was expected to provide near-instant availability of funds, even after standard business hours, where all bank users will appreciate the real-time cross-border payment experience. The results of the trial were announced during Sibos, SWIFT’s annual banking and finance conference in Sydney in October 2018, with the completion being hailed as a huge success. The trial demonstrated their accomplishment through the enabling of gpi in real-time domestic systems and the ability for payments to be achieved almost instantly, even with the involvement of domestic settlements and non-gpi banks. Such a service could bring about a radical change in the cross-border payments market in the region and eventually enable a stronger real-time cross border payments experience for all bank customers.